The Third Round of Local Food Fund applications are due September 13. These 50% cost-share grants are targeted at getting more locally grown food onto the plates of Ontarians. This could be for Local Food Literacy – improving understanding of where local food can be found, what local foods are available, and how to use Ontario-grown and raised food. Or it could be for Market Access – increasing access of small and mid-sized farms and processors to markets. For larger-scale producers this could be for the Broader Public Sector – boosting local food purchases by public sector organizations and institutions. If you are thinking about adding Processed Food as another enterprise to your farm or restaurant business, Georgian College will once again be offering a Free Workshop on September 15th in Barrie and on the 26th in Collingwood. After this introduction there will be two-day classes on November 5 and 6 in Orangeville; and then repeated on the 11th and 19th in Owen Sound. Following these will be a 12- session course next spring. Growing Forward cost-share grants for planning and equipment could be available. If you need help preparing a successful application for either the Local Food Fund or Growing Forward, please contact me. In the 1990’s, Golden Beets were one of my farm’s most popular crops. Unfortunately, seed quality was poor nearly every other year. Fortunately, professional seedsman Bill Dam (of William Dam Seeds) kindly notified me by the previous Christmas so I could produce my own good (though expensive) seeds in the greenhouse. As I walked away from the booth, a younger salesman pointed out that I had just been speaking with Atlee Burpee, grandnephew of the company’s founder. Golden Beet seed quality has remained very good ever since that chance encounter. In my 30-some years of professionally growing vegetables, I have noticed a general decline in germination, vigour, pest resistance, and flavour of many varieties. This is because most seed companies have become more interested in increasing profits than maintaining attributes. The most alarming example is that one of the most reliable summer carrot varieties, Nelson, will be discontinued next year due to it being so expensive to produce. I hope farmers will convince their seed distributors they would be willing to pay a premium for this exemplary variety. Finally, something is being done about this decline in seed quality. Michael Mazourek (Assistant Professor Horticulture at Cornell University) has started a process of working with New York City chefs (notably Dan Barber), regional vegetable growers, and Fruition seed breeders at regenerating declining varieties. On September 7 and 8, Ecological Farmers of Ontario (EFAO) in partnership with the Bauta Family Initiative on Canadian Seed Security is sponsoring a trip to New York for a tour of the Cornell and Fruition research sites. If you can’t attend this tour, take your own self-guided tour during business hours at William Dam Seeds to compare new varieties with established ones. This has been a good year to taste how trial lettuce varieties at William Dam have survived the baking summer. I was most impressed with the new Dragoon Romaine. Hungarian Rice Beans that mature for full flavour at a tiny French-bean size. They are easy to grow, simple to pick several beans at once, and continue fruiting for several weeks. My favourite food writer, William Woys Weaver, highly recommends these. Chiltern Seeds sells these from their absolutely delightful catalogue. Request a copy for LOL winter fireside reading. Chicory of Chiavari is a chicory grown for its roots. Only mildly bitter (no more intense than modern-day Tonic water), it is as easy to grow, harvest, store and cook as white carrots. In David Suzuki’s Nature of Things show about the benefits of prebiotics, chicory roots are suggested as one of the very best foods we can eat. This is also the chicory that the French love to roast then brew with their coffee. These are available from Bavicchi Italian Seeds. Tuberous Chervil looks like Chervil herb, but the leaves have no flavour. It is a variety selected for its absolutely scrumptious chestnutty root. It is a most unusual vegetable. Fresh seeds (less than a few months old) should be planted in November just prior to the first hard frosts. It will then be the first crop to germinate (with the roots coming from one end of the seed and the leaves sprouting from the other end) in the spring. And then it will suddenly die back in August. Harvest these gems promptly for storage through the winter. Order seeds from Magic Garden Seeds; and then save seeds from those plants that perform best in your own garden. I am always delighted to visit the Riverdale Farm (at the old Toronto Zoo). The glee that the farm animals provide the children is enthralling. However, hearing so much misinformation in the parents’ answers to their children’s charming questions is aggravating. It quickly becomes obvious that urbanites need to know much more about how their food is produced. 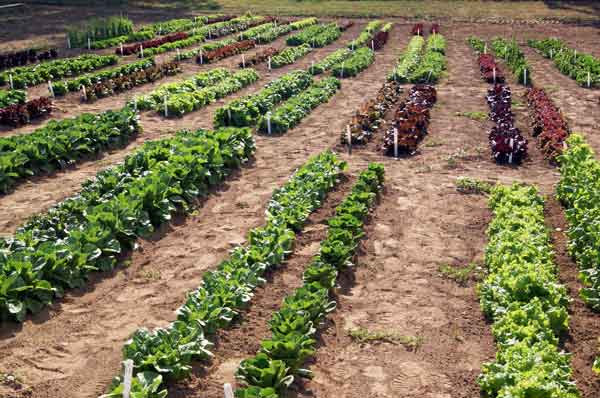 Urban Agriculture is a good start; but it is just not enough. Engage additional stakeholders to invest in agricultural services, educational facilities, tourism resources, and healing activities in the Park. Cooking teachers, lawyers, and food historians. But in 2014 we decided to pause progress due to a government impasse – the federal Harper government legislated inadequate nature protection while the provincial Wynne government insisted on more rigorous policies. Then on June 9, 2016, the new federal Trudeau government announced legislation to make protection of nature the primary priority. So shortly afterward, the provincial Wynne government announced that the needed land transfers could take place on April 1, 2017. Also the federal government’s Independent Advisor, Gary Polonsky’s long-delayed study of what-to-do with the former Pickering Airport land may recommend transferring the remaining 9,600 acres of federally owned agricultural land to National Park protection. Then progress can continue! If you want to help advance our vision, please let me know. For the past two years the Park has hosted Taste of the Trail (a mini Feast of Fields) for the public to meet the Park's farmers and taste their food. Since the primary crops in the Park are currently industrial Field Corn and Soya Beans, there is not much of interest to the public. There was Maple Syrup, but this came from nearby Bruce’s Mill Conservation Area. There was Wild Rice, but this came from the Hiawatha First Nation on Rice Lake. There was Apple Butter presented by the pioneer Rouge Valley Mennonite Church (still very active), but the butter came from Mennonites near Wellesley (west of Kitchener). 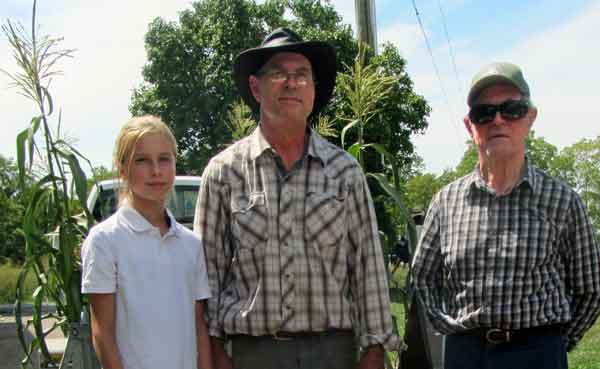 The three most recent of nine generations of Reesors who have grown food for Torontonians since 1804. 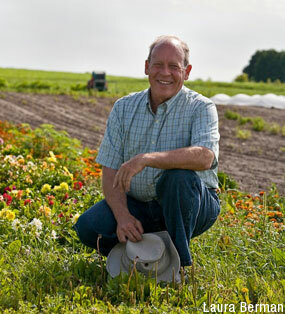 Sweet Ridge Farms is operated by the Reesors who settled on what is now Reesor Road in 1804. Every summer they now supply eastern Scarborough with deliciously fresh sweet corn. Whittamore’s Farm was also settled in 1804. Since the 1950’s they have operated a popular Agritainment Farm with pick-your-own strawberries, raspberries, peas, beans and potatoes. Judy’s Tropical Garden started a couple centuries later, in 2005. These Philippine immigrants provide pick-your-own Okra, Bitter Melon, Peppers, Eggplant, Long Beans, Opo Squash, and tropical greens such as Egyptian Spinach, Jamaican Calaloo, Malabar Spinach, and Chinese Water Greens. They did not need government research to determine if these could be commercially grown in Ontario; they just did it! For a summary of what could be done on these nearby farms, please view William Lishman’s beautiful video about The Federal Lands. Then at the October 15 Harvest celebration in the Park, share your ideas with other rural and urban people with concerns about climate change and food security. Abundance GTA will provide a creative opportunity to reimagine our region’s food production. My past newsletters may be seen by clicking here.